It’s that time again. 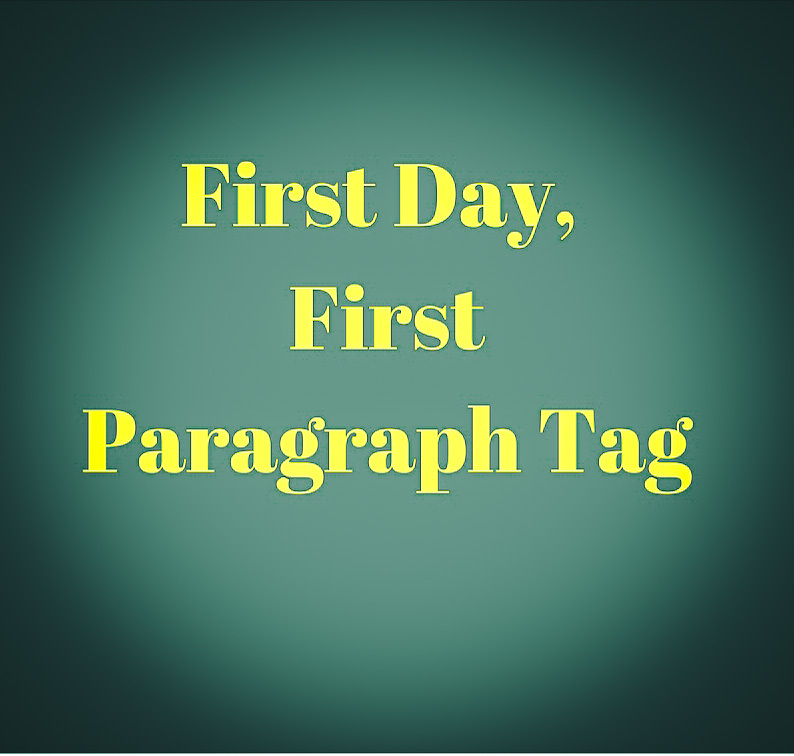 Time for the “First Day, First Paragraph” Tag. This is a tag I created myself, and I’m still trying to see if I can make it take off. And who knows? Perhaps this month I’ll see this tag take off on other blogs. As you can see, this came out on December 1st. I’ve used the graphic above, which is of my own design. I won’t thank myself, as I talk to myself too often, and I don’t need to start talking back. Explained the rules. And now to post a paragraph. Last month I did the first paragraph of Reborn City, in honor of the three-year anniversary of that novel coming out. I think this month I’ll do Video Rage, RC‘s sequel, which came out back in June. If you would like to check out either novel, make sure to head to the series page above this post for descriptions and links. Enjoy. The sunbaked concrete and metal in the hundred-plus degree heat, the many cars and trucks reflected light off their chrome bodies like blinding beasts zooming down the highway. As truckers listened to country and rock music and children played video games on the backs of their parents’ car seats, some occasionally looked out to see a marvel of the modern world on the road. Five black hoverbikes, each with two people straddling the seats, zoomed between vehicles as they floated a few feet above the ground. Those who saw them marveled, paying no attention to the riders, who would’ve warranted their own attention if the drivers knew who they were. Okay, now I have to tag someone. This month, I’m going with a good friend who enjoys reading my books when she has the time. Ruth Ann Nordin, you’ve been tagged. You’ve got to do this on January 1st. Better schedule this post to come out ahead of time! That’s all for now, my Followers of Fear. I plan to have another post out later today with a wrap-up of NaNoWriMo, so keep an eye out for that. Until next time! I love the idea, Rami! And that’s a great start for a book. One of these days I’ll get around to reading it… It’s on my TBR List, but that thing is thousands of books long, and it goes back to 2014 when I started it. But it’ll happen! I love that last sentence. It’s a great hook! I’ll search my projects and see what I can get going for January. 🙂 Thanks for tagging me!